The Baxter House has been a landmark in Roscoe for well over a century. 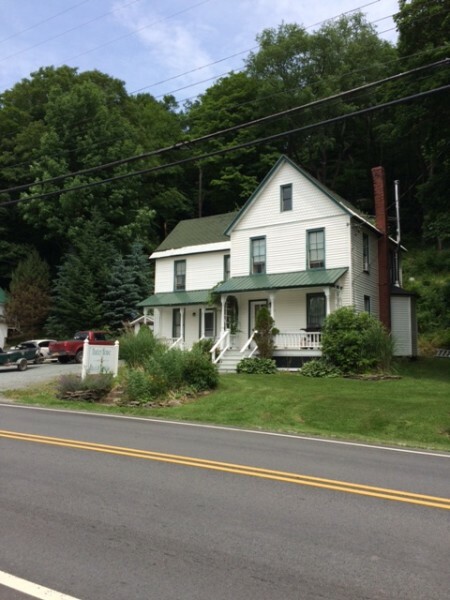 Built in the 1880’s as a homestead, the Baxter House was eventually converted to a Guest House to lodge the ever increasing amount of sportsmen who visit the Catskill Mountains to Fish and Hunt. In 2000 Ken Tutalo took ownership of the Baxter House and opened as an all inclusive stop for visiting Fly Fishermen. Today Baxter House remains the only place in “Trout Town U.S.A. where you can find Lodging, A professional Guide Staff and a Fly Shop in the same location. The Baxter House guide staff has earned a solid reputation as the most knowledgeable professional guides in the region.